What are the system requirements for Hi5? Does Hi5 look or behave strangely on your screen? Do our emails go to your spam folder? Check out our system requirements for help. If you are faced with a blank Hi5 dashboard, it could because of your internet browser. Hi5 runs best on updated browsers like the ones listed above. Hi5 does not work well on an outdated (or "legacy") browser like Internet Explorer (IE), so using IE is not recommended. FYI: Microsoft does not publish updates for IE anymore (it's obsolete)! In other words, there is no way around the issues this browser presents. Ensure that you are using Google Chrome, Firefox, Edge or Safari (not Internet Explorer) as your internet browser (you can download Chrome here). Ensure that you are using one of the latest versions of the aforementioned browsers. Here is a helpful article for checking Chrome. Alternatively, you could download our mobile app for Android or iOS. Internet connectivity/Wifi: Check your internet connection to ensure that you are connected and that you have good signal. A slow internet connection will mean slow loading on your phone. 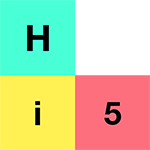 Outdated app version: Check if your Hi5 app is due for an update on your App Store (Google Play/iTunes) - we push updates to our app about once a month to keep making it better (so please rate Hi5 on the app stores!). Lists need to refresh: If you can't find the so-worker(s) you'd like to Hi5 on the list, or if you are experiencing any other issues with Hi5 on your phone, we recommend you log out and log back in again. This will refresh your Hi5 account, as well as any changes made by your company's Admin that may not have updated correctly on your phone. If none of the above tips were helpful in solving your email, browser or mobile issue(s), please don't hesitate to get into contact with us via the the chat function on the Hi5 app. Find it in the bottom right hand corner of your screen on desktop. Or email us at help@get5.io to chat to a Hi5 Hero who can help.